I've been on the hunt for a while now for a deep purple lipstick like Jacquelyn is wearing below - a sultry, grown up, almost art deco shade of violet. You guys, my search is over! 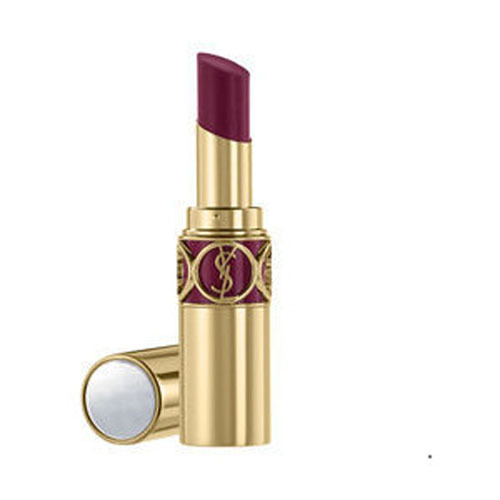 If, like me, you were dreaming of an eggplant pout, go for the YSL Rouge Volupté in 12 - Forbidden Burgundy (NOT Rouge Volupté Shine, beware), pictured below.